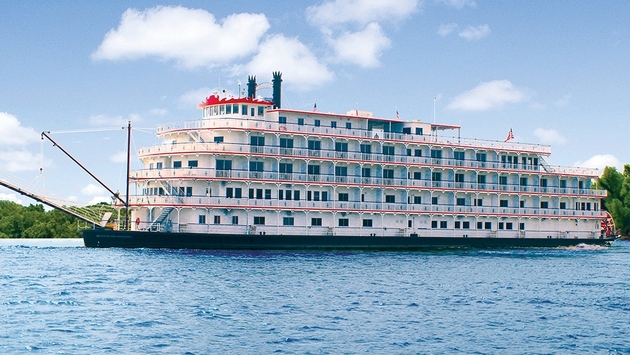 American Cruise Lines is offering complimentary shore excursions on all Mississippi and Columbia River cruises aboard its paddlewheelers Queen of the Mississippi and Queen of the West, a value of more than $300. Additionally, for cruises booked by April 30, a complimentary pre-night hotel stay is included. Complimentary tours explore Vicksburg National Military Park in Mississippi; Oak Alley Plantation in Louisiana; the Mark Twain Boyhood Home & Museum in Hannibal, Mo. ; Mount St. Helens in Rainier, Wash.; the Columbia Gorge Discover Center in The Dalles, Ore.; and the Washington Wine Country.